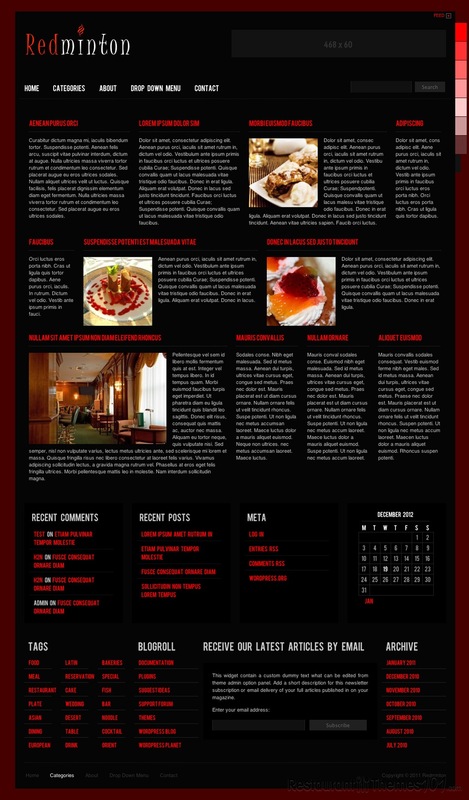 Redminton is a restaurant theme for WordPress presented on ThemeForest and created by Readactor. 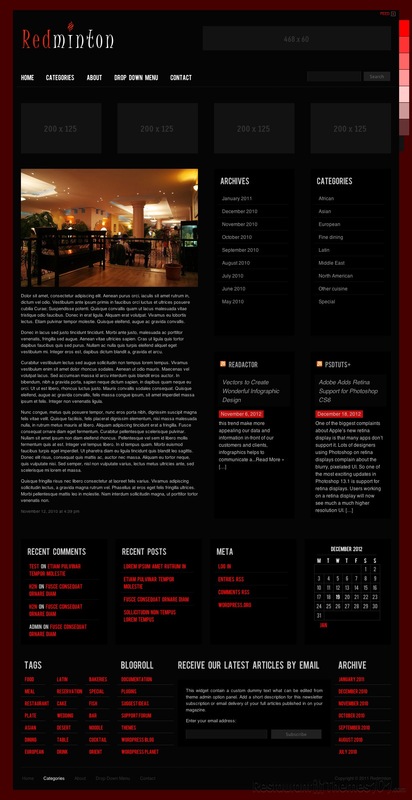 This theme is specially designed for restaurants and it offers several important features any good restaurant website should have. The layout looks modern and rich and you will be provided with numerous different color schemes. The possibilities of customizing the colors of this theme are endless. You can easily make your website’s color scheme match the one in your actual restaurant, it’s very easy to do so with this theme. It’s not only layout colors you can change, you can also customize the text color, the link color, the menu labels color… Pretty much any color that appears on the website could be changed to fit your needs. 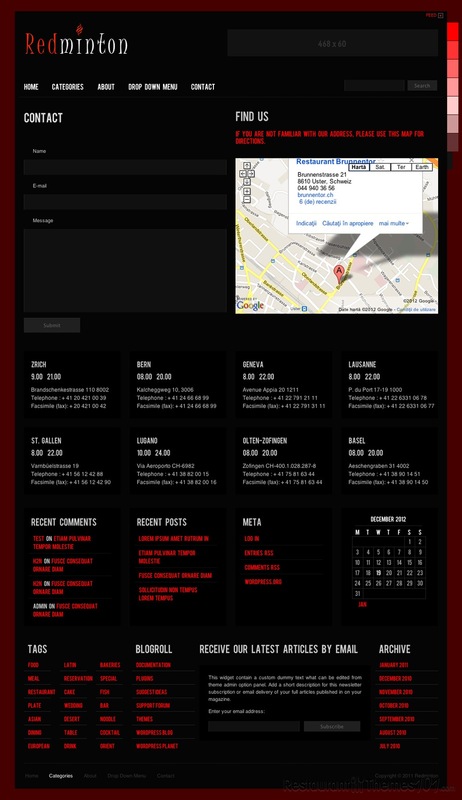 The theme offers the possibility of Google Maps integration. This means a lot, especially for visitors who are out of town, and don’t know how to get to your restaurant. Google Maps will make it possible for any visitor to get the exact location of your place and no one will ever have trouble finding you. This theme is very adjustable and it will be very easy for you to add anything to it, including advertisements, banners, widgets, etc. You can do whatever you want with it and customize it in numerous ways to make it look and feel exactly the way you want it to. The category template of this theme has been created in a very interesting way and you will have random thumbnails showing on your homepage and those thumbnails will lead to your posts, which is great for big websites with a lot of content. The theme has excellent social network integration and your website will be integrated with your Facebook and Twitter account. It is very easy to add or exclude pages on your website with this theme. Redminton has been awarded for its ease of use at AWWWARDS and it’s actually listed among the best 25 themes.